What letter did u get? I remember when I was a naive 7-year-old the first time McD's did the monopoly thing. I was diligent and methodical, and had the entire game board filled in except for one property in each category. "Ha! I only need one property for any color. Surely the odds are in my favor now!" I thought. Looking for an "A". Did you guys ever figure out what the deal is if you submit all the letters? 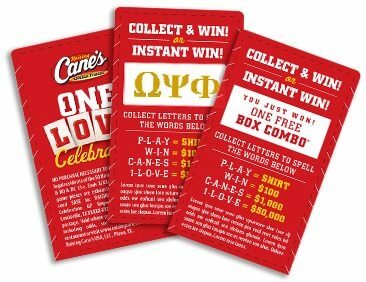 Do you have to split prize with other "CANES" winners? A guy won in Nevada two years ago. Video is on YouTube. You never hear about the monopoly winners. Wouldn't the obvious be the letters that are unique in each word?